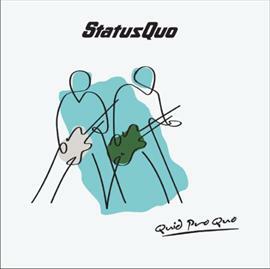 "Quid Pro Quo" is the latest album from British rockers Status Quo. In an unusual move, the album is only available via Tesco. The album has been released as a double album - disc one being the new album, and disc 2 being an "official live bootleg" - i.e. a live album. There is nothing in the new album that will surprise Status Quo fans - after over 40 years, the band has a tried and tested formula which they stick to - "if it isn't broken then don't fix it". Its a good album, but I'm not sure that any of the tracks are likely to become classics. The live disc is great - it includes some of the bands classic hits including "Caroline", "Rockin all over the world" and "whatever you want", along with other tracks that regularly make up their live setlist. The inclusion of the live disc makes the album a lot more attractive - this way buyers get the Quo classics and their new material at the same time.